Premium housebuilder Charles Church has launched The Farriers, a collection of three, four and five bedroom homes off London Road. Claire Dearsley, head of sales for Charles Church Midlands, said: “Towcester is such a popular market town, so we are delighted to be creating a vibrant new community less than a mile from the town centre. “We have just launched The Farriers development and are already getting dozens of enquiries from people interested in reserving their new home off-plan. 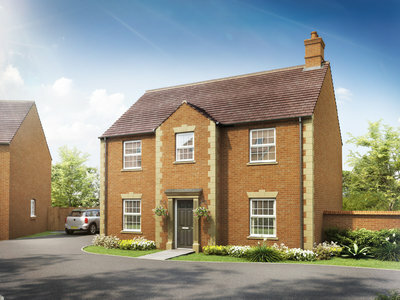 Properties at The Farriers start at £379,995 for a three bedroom home with a garage and off-road parking. The development is ideally located for road links to Northampton and Milton Keynes, as well as being close to open countryside. In addition to building homes, Charles Church is helping to create a new community which will ultimately include shops, a doctors’ surgery, nursery, community hall, two primary schools and a hotel planned for the area. There will also be sports pitches, allotments and public open space. To find out more or to arrange an appointment, visit harleschurch.com.